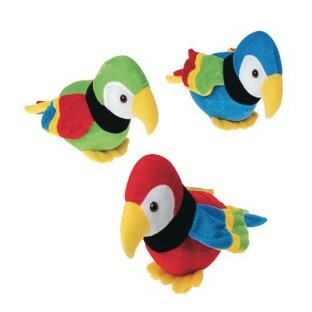 Colorful parrots "stuffed" with fun! Colorful parrots "stuffed" with fun! The perfect Luau party decoration or prize. 12"L. Assorted colors.